NOTE: I recently came across an old editorial I wrote while still at Duke that was published in the Duke Chronicle. I was responding to a columnists argument against marijuana use. While that alone would not ordinarily spur me to write such a thorough rebuttal, the logic used by the columnist went something like this: weed comes from Mexico; the Mexicans who grow weed are armed gangsters who kill people (including children); therefore, anyone in the US who consumes weed contributes to child murder. I’ve slightly edited the article below from the original Chronicle print version to make more sense on this blog. Last week, the Chronicle published a column which made an impassioned case against marijuana use. It pleaded for us to prevent “another dead Latin American child,” by looking within ourselves as a nation and ceasing our rampant and destructive drug use. The author of that column, and his argument, is wrong for the following reasons. First, he claims smoking weed is unethical because big mean people who bring pot here are violent. But you can’t argue weed is inherently unethical because the current distribution system is unsavory; his point has nothing to do with the “ethics” of marijuana use. Individual use is a choice everyone has the right to make, especially in a country that pretends to allow the pursuit of happiness. As a strong conservative, I’m embarrassed by the hypocrisy of most conservatives when they advocate the government first decide, and then tell us, what is ethical and what isn’t. The government should never be in the business of legislating morality unless another person’s rights are directly threatened. Which brings us to his main point: he claims ‘blazing’ weed does threaten the rights of poor Mexican kids because of the border violence in sneaking the plant into America. Let’s analyze. People – especially Mexican-Americans originally – smoke a lot of weed. Some weed is imported. Weed becomes illegal as a way to control a growing Mexican-American population. Weed producers are forced to operate in an underground and illegal world, becoming ‘cartels’. They don’t want to go to jail. They fear jail so much they do whatever necessary to stay out, leading to violence. Poor Mexican kids die; UCLA kids get high. Since demand is literally infinite and will never disappear, the only logical conclusion is to bring the production and distribution of marijuana out from hiding and into the bright light of sanctioned government regulation. Once regulated there would be no need to violently conspire to sneak drugs over because producers would operate like any other legal distribution business. Not only would it add new sources of tax revenue in a time of fiscal crisis, but it would stop the Mexican kids from dying since violence is no longer required. You don’t see gangs of French warlords killing each other trying to sneak Cabernet into America. Why? Because wine isn’t relegated to the dirty world of black markets where lots of bad people kill other people. Closer to home, you don’t see Massachusetts, New Jersey or any of the other 12 states that have legalized marijuana collapsing from gang activity or cartel warfare. Third, the author’s logic clearly is misinformed. Most of the weed on campus at Duke and especially in the Northeast does not even come from Mexico. A significant percentage is made right here in America’s living rooms and bedroom closets. Another hefty percentage comes from Canada, where border regulations are less restrictive. Most marijuana in the US comes from California’s so-called Emerald Triangle, not Mexico. 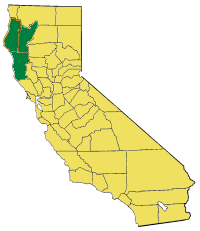 And finally, the open secret now is that high-end pot comes from California’s humongous “Emerald Triangle” weed industry, a three-county region where marijuana makes up two-thirds of the economy (taxes anyone?). Progressive Californians legalized medicinal marijuana, creating a need for large scale farms to supply state-sanctioned distributaries. Medicinal weed, or “Cali bud” generally, is the bees knees that most consumers crave, not low-end Mexican schwag. Finally, while we’re on ethics, let’s look at the reality. Alcohol kills roughly 100,000 per year (and is legal). Marijuana kills zero (and isn’t). Wait, you’re surprised? Mexican kids dies from bullets, not weed. Even Advil causes more deaths per year (7,000). Don’t cave to the government’s pathetic War on Drugs and its almost-laughable propaganda campaign that began as a racist way to keep out Mexicans from the Southwest in the 1930’s. Moreover, weed is a life-enhancer that gives peace, tranquility and yes, happiness to millions of hard-working productive Americans and Duke Students. It’s awfully easy to point fingers at the big scary pot plant, ignoring that its legitimate medicinal and recreational use dates back thousands of years. But to say little Mexican babies are murdered every time a joint is rolled is beyond self-gratifying, it’s intellectual dishonesty at its worst. Get the facts and open your mind, then you’ll learn a really inconvenient truth.